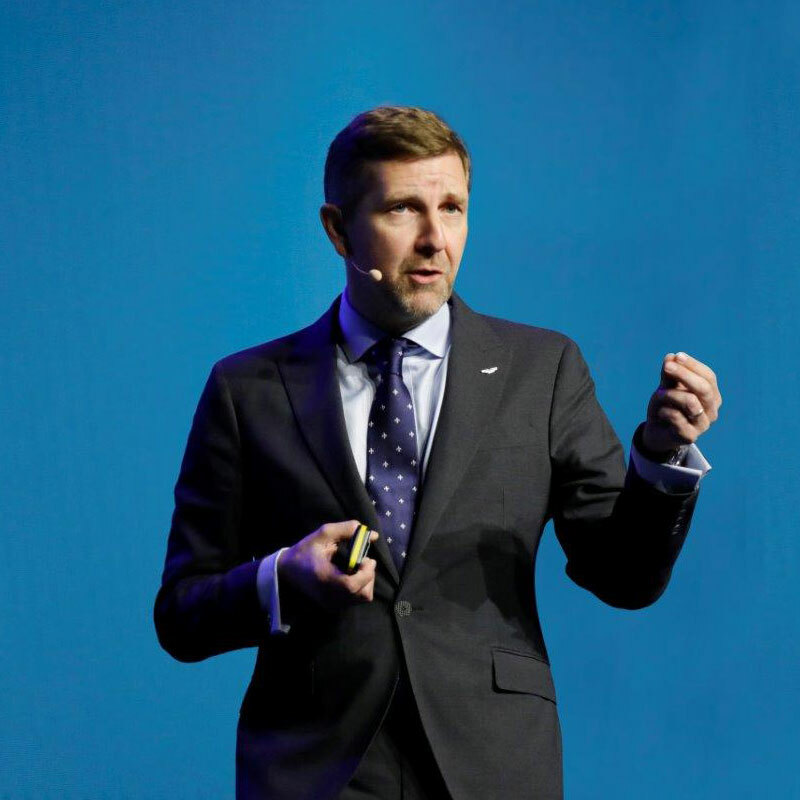 LIVE FROM HUAWEI GLOBAL MBB FORUM 2018, LONDON: Simon Sproule, VP and CMO at Aston Martin (pictured), explained one of the most interesting periods of change in the global automotive industry is being enabled entirely by technology covering connected cars, autonomous vehicles, shared mobility and electrification. Advances in technologies have shortened production cycles, but the time taken to design, test and produce a car is still about ten years, while the lifecycle of car has come down from ten years to six years. Sproule noted this length of time creates huge challenges for the industry compared to the handset business, for example, where ten years could represent several generations of mobile phones. The auto industry processes massive amounts of data, so with a business built around speed, he said low latency is essential. Other key benefits the company is looking for the next generation of mobile to deliver is massive bandwidth and improved cyber security. He said Aston Martin will be the first luxury carmaker to have an all-electric vehicle in 2019, with its Lagonda marque to be “reborn” as an all-electric high-end car brand. “To be a luxury leader in the future will require a combination of handcrafted, bespoke attention to detail, but will also require the highest levels of technology. So we’re looking at what it will take to be ready for level 4 autonomy,” he said.